Movies.com > Movie News > The Last Horror Blog: New Clips for 'Curse of Chucky' and 'Bloody Homecoming,' 'Solomon Kane' Review and More! The Last Horror Blog: New Clips for 'Curse of Chucky' and 'Bloody Homecoming,' 'Solomon Kane' Review and More! Welcome to The Last Horror Blog, a biweekly column on all things horror. 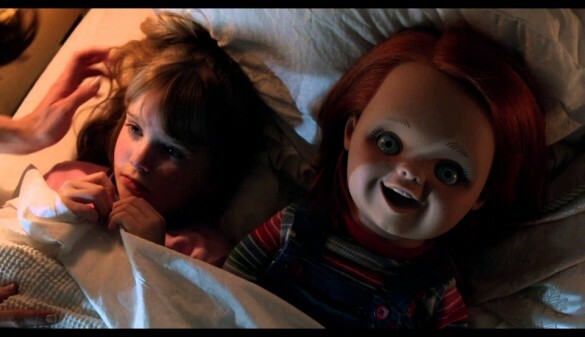 First Curse of Chucky clip now online – Chucky, the maniacal serial killer trapped inside a children’s doll, is set to make his grand return on September 24 with the release of Curse of Chucky. 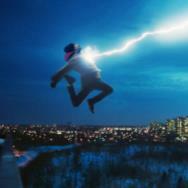 However, if you can’t wait a few more weeks, maybe this new clip from the film will tide you over. New trailer for Bloody Homecoming looks like Prom Night – Check out this new trailer for upcoming slasher flick Bloody Homecoming. While the film doesn’t look too shabby in the clip, I will admit to being put off by the poster art, which looks like it was designed to cash in on the appeal of The Loved Ones. Seems sort of odd to model your poster art after a film that few people got the chance to see, but maybe Bloody Homecoming will fare better when it also debuts on September 24. THR reports that this will be Rumley’s biggest project to date. Check out some of his earlier work in this Red, White & Blue trailer. After Dark: Horrorfest announces 2013 lineup – This year marks the eighth year of the After Dark: Horrorfest nationwide celebration of horror cinema, and while the fest has yet to bring us a truly classic fright flick, it has given us a few that were worth seeing. Will this year’s crop finally bring us a great horror film? Maybe. Of the six titles revealed so far, the one that’s most intriguing is Vincenzo Natali’s Haunter. Natali gave us Splice and Cube, so I’ve got high hopes for the director’s ghost story about a girl’s spirit trying to save a living person. 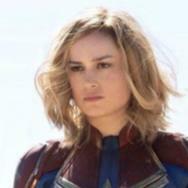 JoBlo has a full list of the first wave of titles and their plot details. Click the link above for all the details. Author Robert E. Howard is probably best remembered as being the creator of Cimmerian slayer Conan the Barbarian, but as a young adult I found his Solomon Kane character more my speed. The Puritan wanders the world battling the forces of evil in the series of stories and poems that appeared in countless issues of Weird Tales – and there’s just something about him that clicked with me right off the bat. So, when it was announced that Deathwatch filmmaker Michael J. Bassett would be helming a movie based on the character, I was excited. Conan had a pretty good run on the big screen (ill-advised Marcus Nispel reboot not withstanding) and I figured Kane could do just as well. And he might have had the film not been completed and shelved for several years before finally getting a legit U.S. release in 2012. Bassett’s vision of Solomon Kane is not entirely in line with Howard’s (he does hit most of the notes, at least) and it occasionally feels like a low-rent cross between Lord of the Rings, Season of the Witch and Black Death, but it does provide some entertainment for fans of the well-armed demon slayer. In the film version, Kane (played with a granitelike stoicness by James Purefoy) starts out as a ruthless mercenary who plunders for the thrill and loot. As he storms a castle in an African city, he finds himself face to face with the Devil’s very own Grim Reaper. Satan wants Kane’s soul, but our hero escapes – and locks himself away in a monastery where he vows to become a man of peace. That vow is soon tested when an evil wizard threatens the countryside. Things get real personal when the wizard’s henchman (who looks like a cross between Jason Voorhees, Leatherface and Highlander’s the Kurgan) kills a family of puritans Kane is traveling with and steals their innocent young daughter (Rachel Hurd-Wood). Kane vows to save the girl. And that’s what he’ll do… or die trying, at least. Bassett’s film offers a satisfying mixture of pulp elements – swords and sorcery and bone-crunching violence. It has a distinctive visual aesthetic that belies its relatively small budget. 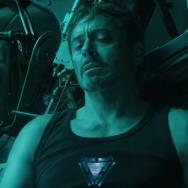 Howard’s character is engaging, even in this somewhat reimagined form. So why isn’t the movie better? At least part of the issue with Solomon Kane is James Purefoy. He is the kind of actor I should love. He’s fantastic with a sword (some of the best moments in the film involve Purefoy dispatching multiple bad guy with his blades – I only wish the camerawork in these scenes had allowed viewers to really see and appreciate the effort), and he loves to play these cinematic tough guys I tend to adore. The problem, after seeing him in several films, is that Purefoy just doesn’t exude leading-man charisma. Sure, you can dress him up in a black hat and cape and a straggly wig, but that doesn’t make him cool. It just makes him look cool. This is not to say that Purefoy is bad, but as critic Roger Moore pointed out, he’s sort of like Christopher Lambert in Highlander – utterly convincing with a sword in the action scenes, but not all that interesting when he’s not slicing people in two. Purefoy isn’t upstaged here like he was in Ironclad (where Paul Giamatti stole the show), but it’s only because there’s no one else on-screen long enough to upstage him (the late Pete Postlethwaite and inimitable Max von Sydow both share scenes with Purefoy, but they’re relatively compact). This is a real shame, because on paper Purefoy is a perfect choice for the part. I’m not sure why the actor plays everything in such an understated manner (well, maybe I do: because when Purefoy does cut loose in Solomon Kane the results are unintentionally hilarious. See the crucifixion scene as an example). No one expects Solomon Kane to run around dispatching Hell’s minions while spouting off one-liners, but a little personality would be welcome. We don’t get that with Purefoy’s Kane, and the film suffers for it. This lack of personality is echoed throughout the feature, which is filled with drab browns and greys in its color palette and pits Kane against two villains who aren’t particularly inspiring beyond their appearance. 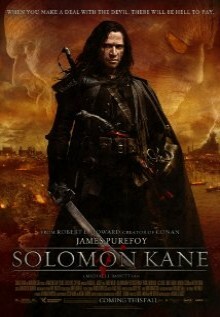 A Solomon Kane film should have been more exciting. There’s a rich universe to work with, and it’s a bit disappointing to see Bassett and his team take what appears to be the path of least resistance – and inspiration – through the tale. This isn’t to say that Solomon Kane is a bad film. It’s just one that underachieves and plays it safe when it could have boldy marched into territory all its own. Bassett’s film is satisfying enough as a one-time viewing experience, but it seems unlikely that most audiences will want to revisit Solomon Kane’s first big-screen adventure – or that we’ll see more anytime soon. That’s a loss for fans of Howard’s fiction and swashbuckling supernatural adventures alike. Summer is rapidly drawing to a close and stores are already getting their Halloween goodies out in anticipation of October, so we should start seeing some more horror films in the theaters over the next eight or so weeks. Things get off to a decent start this Friday, with the debut of the third Riddick film (which while not straight horror certainly possesses some crossover appeal), and the horror-film spoof Hell Baby. Riddick opens wide, while Hell Baby is a limited release. On Friday the 13th, we get no new Jason films in the theaters, but we do at least get James Wan’s long-awaited Insidious: Chapter 2. Fans of the first film and The Conjuring will want to head to the theaters to catch this one as well. Things are really jumping on the homefront. The weeks of September 10 and 17 are filled with tons of releases, including a few must-have titles. Things get started on the 10th with a new version of Dario Argento’s classic giallo The Bird with the Crystal Plumage. We also finally get a chance to check out the campy Frankenstein’s Army and a Blu-ray release of Vincent Price’s classic turn in The Fly. September 13, meanwhile, brings us the long-awaited Friday the 13th: The Complete Collection. That’s right, this Blu-ray set features every single one of Jason Voorhees’ classic slasher flicks. Prepare for an epic bodycount with this bad boy. However, if that’s not enough Jason mayhem, we’re also getting Crystal Lake Memories: The Complete History of Friday the 13th. This massive documentary (400+ minutes!) leaves no severed head unturned in bringing you the inside scoop about one of horror’s most enduring franchises. If you even kinda like Jason, you’re going to want to own this. If that weren’t enough excitement, September 17 brings us Brad Pitt’s adaptation of World War Z, Scream Factory’s Blu-ray updating of George Romero’s Day of the Dead, and four classic Universal monster flicks (Dracula, Frankenstein, Bride of Frankenstein and The Wolf Man) on Blu-ray as well. Hope your wallets are ready for this onslaught of great discs.